The Lounge Chair by Charles and Ray Eames is one of the great furniture designs of the twentieth century. Offering ultimate comfort, this elegant chair has been produced by Vitra since the 1950s using virtually the same production techniques and high-quality materials. 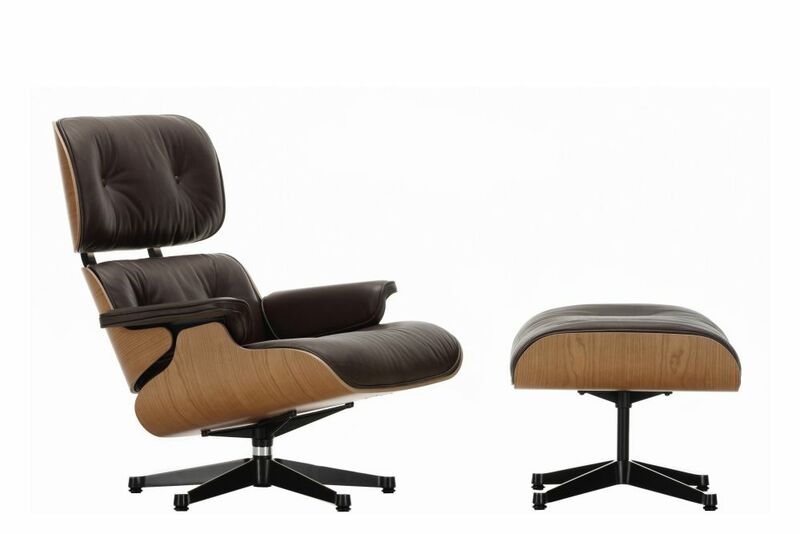 The Lounge Chair comes in two sizes and various combinations of leather upholstery covers, wooden shells and bases. "Why dont we make an updated version of the old English club chair?" With this comment, Charles Eames initiated the development of the Lounge Chair, a process that took several years.The aim was to satisfy the desire for an amply proportioned chair that combined ultimate comfort with the highest quality materials and craftsmanship. When it came out in 1956, the design of this armchair by Charles and Ray Eames set new standards: it is not only lighter, more elegant and more modern than the conventionally ponderous club chair – it is also more comfortable. Thanks to these qualities, the Lounge Chair became one of the most famous designs of Charles and Ray Eames and has attained the status of a classic in the history of modern furniture. The Lounge Chair is now available from Vitra in two sizes: with classic dimensions and with new, larger dimensions. Furthermore, the various combinations of leather upholstery covers, wooden shells and bases are complemented by a white edition and a black edition with corresponding details. Since the Lounge Chair first went into production, average human height has increased worldwide by nearly 10 cm. In close coordination with the Eames Office, Vitra developed the new larger version so that taller people, too, can enjoy the same exceptional comfort that Charles and Ray Eames intended with their original 1956 design.